The friendly atmosphere and warm personal attention they receive from everyone on the staff makes them feel they’re treated like family. When treatment is necessary, it’s explained in detail so that patients understand the reason behind the procedure and what to expect. The facility is modern and up-to-date with technology that makes visits faster, more efficient and more comfortable. Madhav as well as the hygienists and assistants all have a gentle touch and caring chairside manner. Finally, we’re so touched to hear patients say that they’ve been getting such great care for so long that they can’t imagine going anywhere else! Our primary goal is to provide high-quality dental care to help every patient achieve great oral health. But we also make it a priority to get to know our patients and build long-term relationships built on trust. 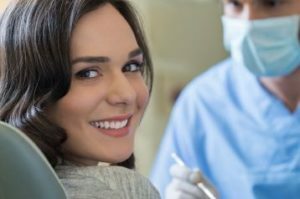 We know that when patients feel comfortable and taken care of, they’re much more likely to get the dental care they need to have a healthy smile. That’s why we truly treat everyone like a member of our own family. And, at the end of the day, when our patients are smiling – we’re smiling, too! In the 25 years that Dr. Anita Naik Madhav has been a dentist in Plano, she’s gotten immense professional satisfaction from serving her community’s dental needs. She and her staff are always striving to exceed expectations and make it a priority to provide high-quality, trustworthy care in a comfortable environment. If you have any questions or would like to schedule an appointment, she can be reached via her website or at (972) 618-1111.